Are you looking for a back pain chiropractor in Thousand Oaks, CA? 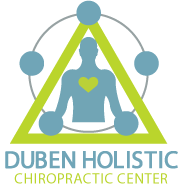 At Duben Holistic Chiropractic Center, we take every case of back pain very seriously. We know it can be truly debilitating, so our goal is to diagnose the cause of your back pain, then relieve it as quickly as possible while reducing the risk that your pain will return. We know that most back pain is caused by sudden or gradual injuries, and inflammation and imbalance can prolong the pain, so we work together to correct the source of your imbalance and prevent it from happening again. Learn why so many patients choose chiropractic care for back pain in Thousand Oaks, and how we can help your back heal. Back pain is a very common symptom, but it’s not an inevitable side effect of aging or heavy lifting. Sometimes, back pain is a sign that your posture, work environment, diet, or other factors need to be corrected. Other times, it’s the result of a specific injury or misalignment, such as a bulging spinal disc that puts pressure on a sensitive nerve root, or a strained ligament that is continuously inflamed and never has time to heal properly. Some of the most common causes of back pain include fibromyalgia, sciatica, arthritis, auto accident injuries, personal injuries, and degenerative disc disease. Whether your back pain is caused by an injury or an illness, poor posture or a poor diet, our Thousand Oaks chiropractor can help. We use comprehensive treatment techniques that are personalized for each and every patient so that you only receive the right adjustments for your particular body and lifestyle. If your back pain is the result of misalignment or chronic poor posture, our chiropractor knows exactly how to manipulate your spine back into the proper position, releasing built-up fluids and placing spinal discs back into a supportive position. If it’s caused by tension or restriction in your soft tissue, we may recommend massage therapy to stimulate the tissue and allow your body to start healing again. Whether you have a chronic nerve condition or a back injury that isn’t healing at the right rate, you deserve long-term relief from the source of your back pain. Dr. Duben and Dr. Erickson are our chiropractors near Thousand Oaks and Thousand Oaks, and they're here to help. We’re proud to offer comprehensive chiropractic care for back pain in Thousand Oaks, CA. Contact us today at 805-468-4437 to schedule your first appointment at Duben Holistic Chiropractic Center. If you are a new patient ask about our new patient discount.